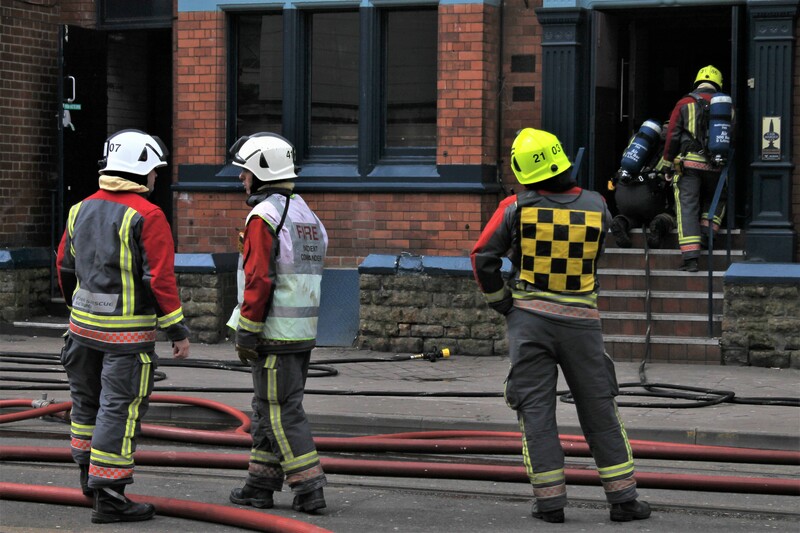 Firefighters attended the scene of a fire at The Horn in the Hand, a pub that is located near Nottingham Trent University campus. The fire started in the kitchen this morning, and two people were in the property at the time. They evacuated safely before alerting the fire service. It is a possibility that the fryer in the kitchen caused this, however fire service cannot look into this until all the smoke has cleared. It’s not the right type of fire to be using water, so the services are using CO2 extinguishers. 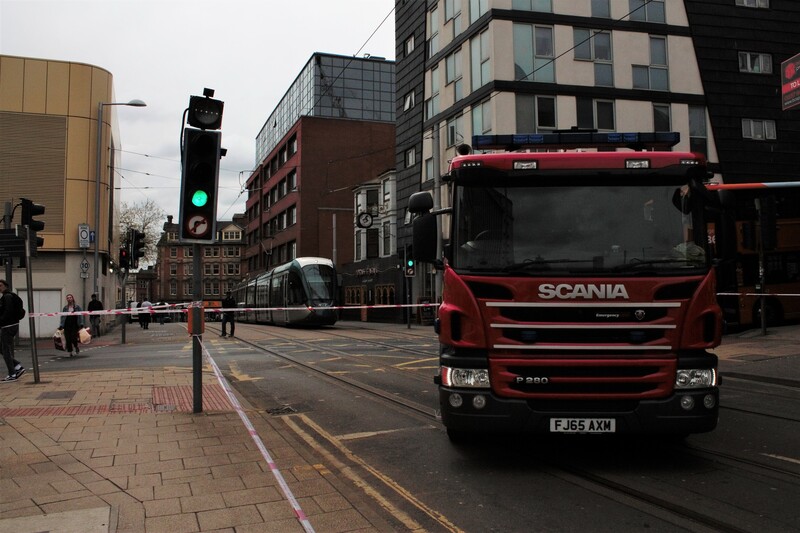 Station manager for Nottinghamshire Fire Services Chris Emmott said: “We are getting on top of the fire as it stands currently – we don’t have a time scale as to how long it will take, but our priority is the immediacy in extinguishing the fire. “The fire fighters that have gone in and have been using the extinguishers will be decontaminated, so they are healthy going forward. 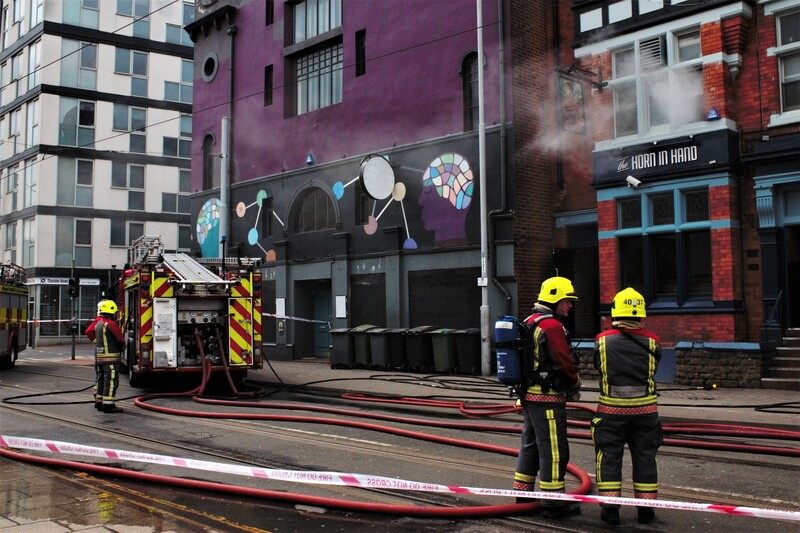 NET Trams said: “We have had an increased wait times to our service due to an earlier fire in a building at The Horn in the Hand public house near the Royal Centre tram stop. 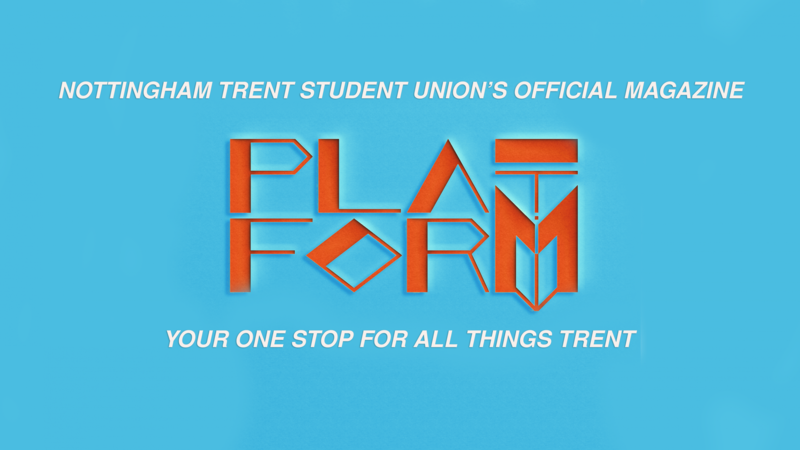 “The emergency services have left the scene and we are running a full service with delays to all trams. CO2 extinguishers are usually used on fires in places with lots of electrical apparatus, and can also be used on Class B fires from flammable liquids such as petrol.